Easter weekend signals the beginning of the always wonderful Saturday Market at Ganges, and the launch of tourist season on the island. People will arrive by ferry, by private boat, by seaplane. I’m glad to be wandering through Ganges just before the little town begins to absorb all of that activity. The walkway along the water reveals anchored tugs – great for a photo, even on a cloudy day. 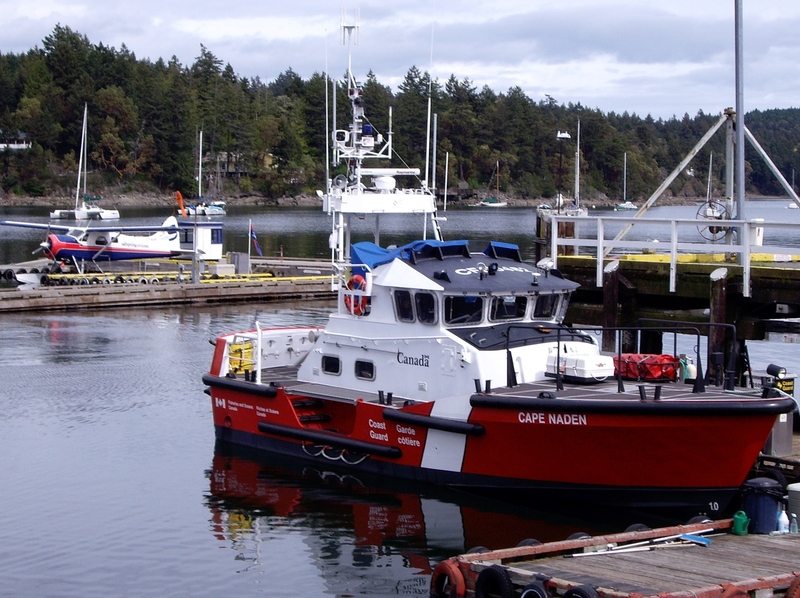 It’s always fun to shoot the colorful Coast Guard boats – note the seaplane behind. I think about the bravery of the Coast Guard crews in this part of the world, intrepid in all kinds of extreme weather and seas. The Coast Guard is stationed at Ganges. A visit to the kayak rental store does not disappoint for a photo. 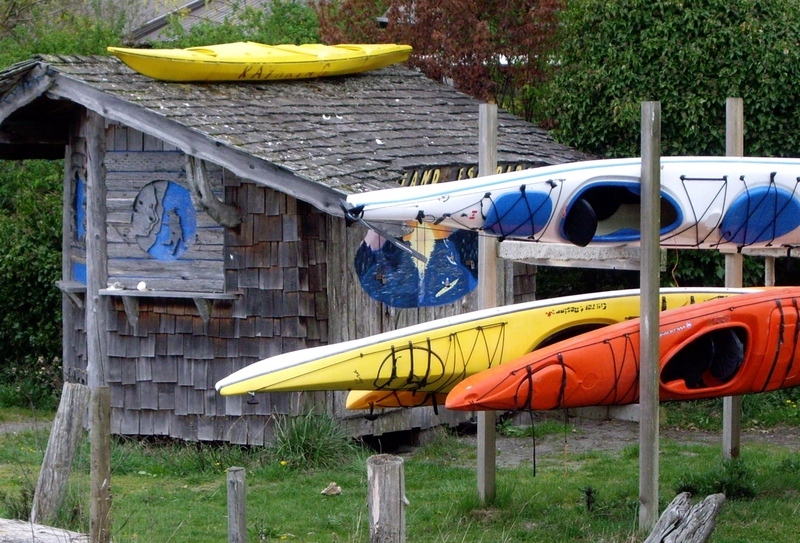 Colorful kayaks ready to launch. A visit to the local coffee company leaves me stumped – they won’t sell me a half pound of coffee. Only by the pound. 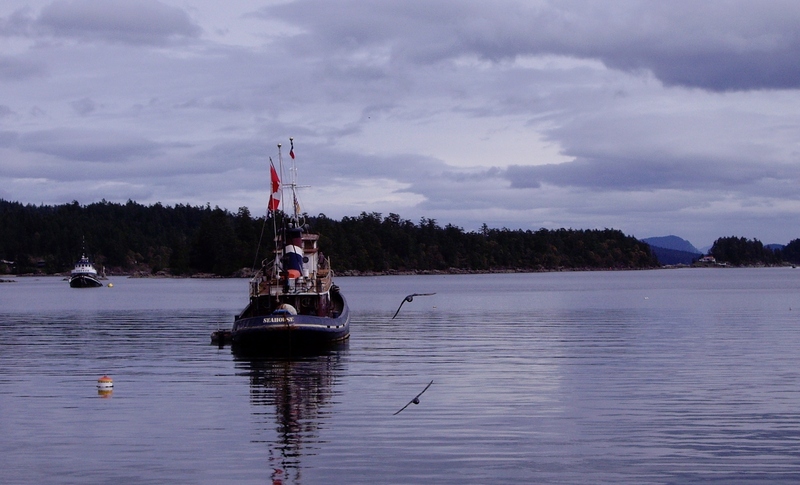 Only on Salt Spring! 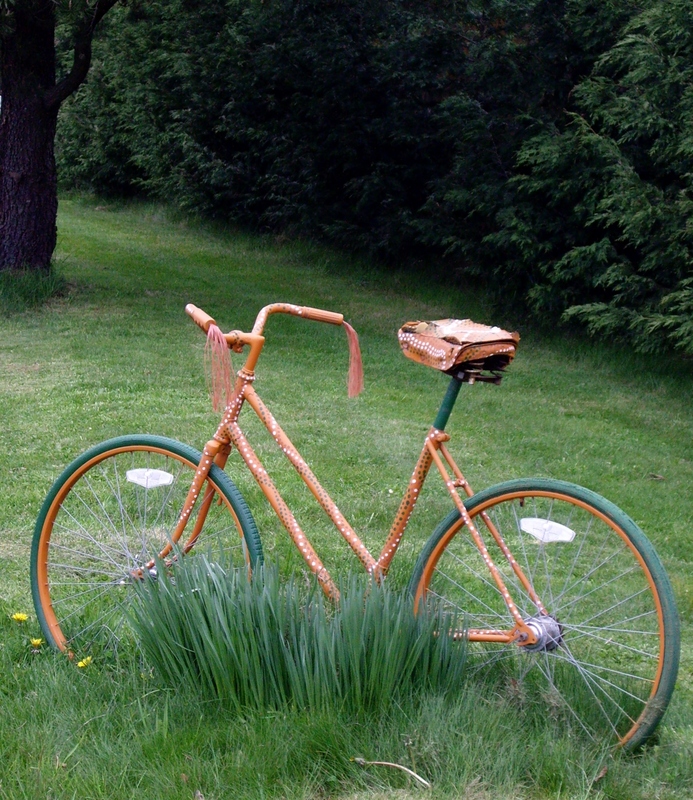 On the way home I stop off to admire more bicycle art. The mayor of London would love this place. He rides a bike to work and heavily promotes cycling. Much safer on this island than a teeming metropolis, I think!